It's all about the visuals and performance. Laminate floors are looking better all the time. Combined with its outstanding performance and a recent focus on moisture protection, we're seeing laminate breaking into new areas of the home: Think family rooms, kid's rooms, and of course, kitchens. Moving beyond traditional 5-inch wide planks, we’re starting to see some as wide as 8 inches. Lengthwise we’re seeing the same with boards up to 7 feet long. These longer, wider planks are freeing designers to create even more outstanding visuals. By taking advantage of this new format, designers can bring the look of multi-width planks to wood, and larger tile and stone looks at much more affordable price points. 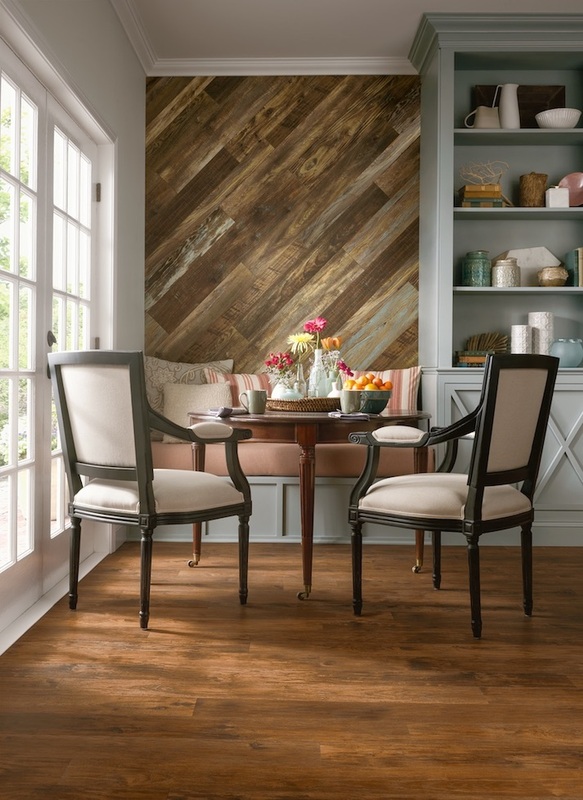 Reclaimed looks are all the rage in hardwood flooring and laminate is taking notice. With wider and longer planks that allow it to emulate the look of “old growth” hardwoods plus embossing techniques that recreate the grain of real wood and stone, it’s harder and harder to tell them apart. Laminate is not only breaking into more rooms of the home, it is also climbing the walls. Perfect for a feature wall or a backdrop to a fireplace, laminate has walls looking up. Realistic stone looks have always been popular but now with advances in high-definition printing and embossing techniques, we’re seeing stone looks, well, that look like real stone. Add designer colors to the mix and you now have looks that can blend with any décor. Laminate flooring is taking on its Achille’s heel: water. 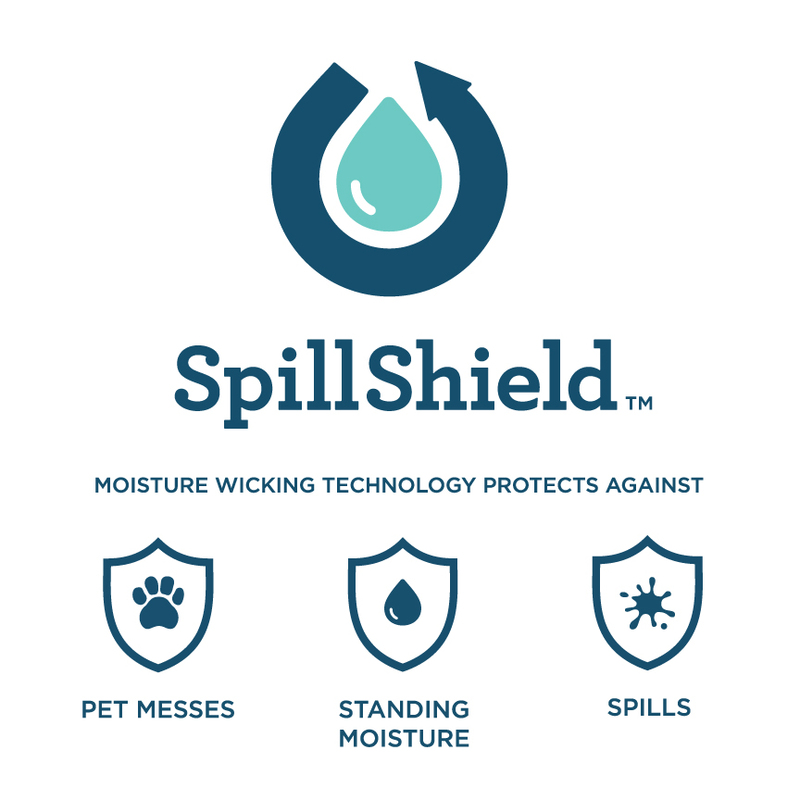 Look for new treatments that give it more than a fighting chance against moisture from spills and pet messes. Today’s better laminate floors feature water-resistant surfaces and special edge and core treatments to prevent swelling due to moisture. Add underlayments to prevent any seepage from subfloors and laminate can now be used with confidence in kitchens, laundry rooms and entryways, and below grade. Already a great floor for pet owners due to its scratch and stain resistance, these new surface and edge treatments make laminate flooring an even better choice. Several laminate manufacturers now offer pet protection warranties. 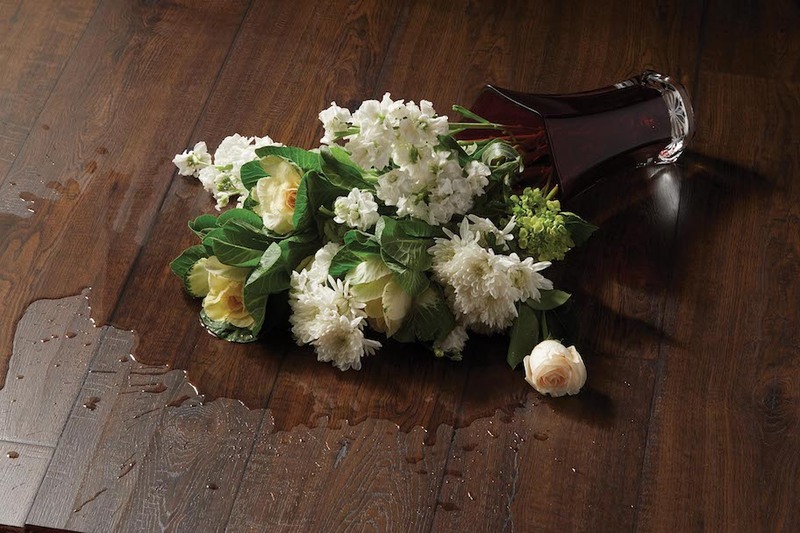 Mannington's SpillShield protects against spills and pet messes.